A few weeks ago, my son and his friends started doing something that made no sense to me. They started bottle flipping. Basically what this is is flipping a bottle with water inside so that it lands on either the bottom or on its cap. Apparently this is something people are doing on YouTube and quite popular these days. 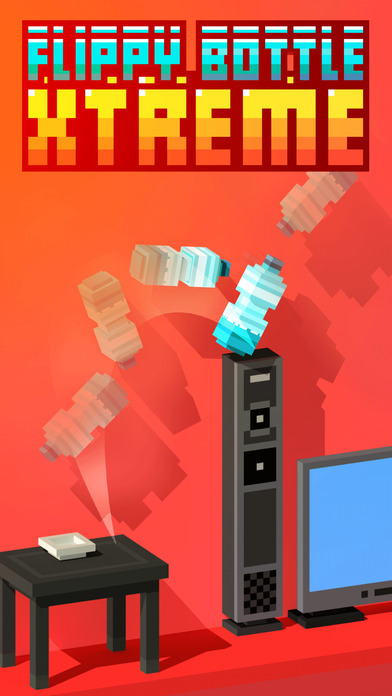 That’s probably why there’s also an influx of bottle flipping games now for mobile such as this popular one I’m looking at right now, Flippy Bottle Xtreme! 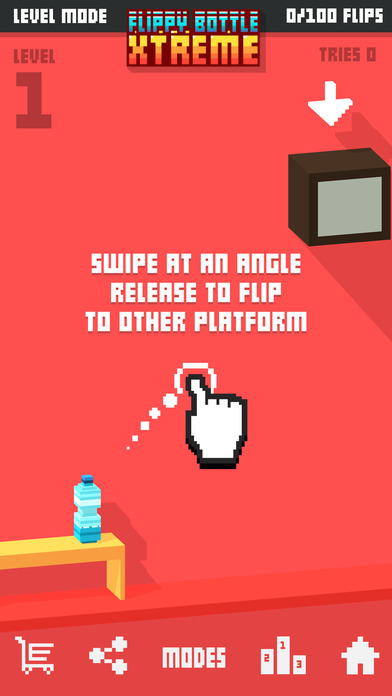 Flippy Bottle Xtreme is a bottle flipping game that I guess brings the challenge of real life bottle flipping to the small screen. Flip your water bottle on top of window sills, speaker towers, tables, chairs, etc and hope it sticks the landing. Use your finger to launch your bottle up in the air and let physics handle the rest. There isn’t much more to that but it does remain faithful to the whole notion of the bottle flipping craze. 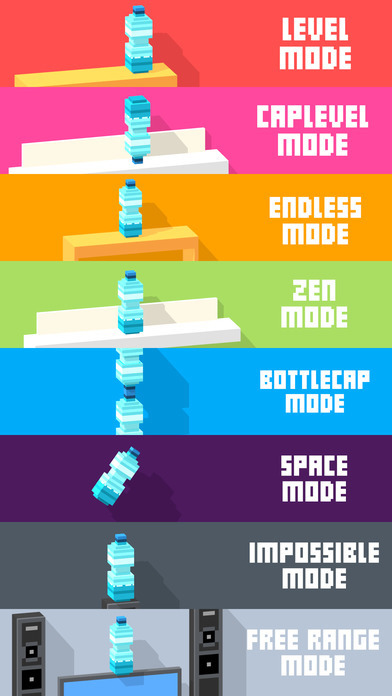 There are 8 modes of play, which is pretty crazy that there would be so many different ways you can play a bottle flipping game. The only thing about this game that is really annoying though is all the ads it has in it. There’s an ad banner at the bottom that can accidentally be pushed as well as video ads that pop up after every few plays. You can see that in the video clip below where i quickly had to “X” out of numerous ads. If you like the core game though, you have the option of removing the ads via in-app purchase. Aside for the ads, the core Flippy Bottle Xtreme game is quite good. There are tons of different modes you can play and the game itself is pretty challenging. What I really like about it though is that it’s much less annoying than real bottle flipping and I don’t have to worry about cleaning up any accidental water spills. On that note, I still don’t really understand why bottle flipping is a thing right now. 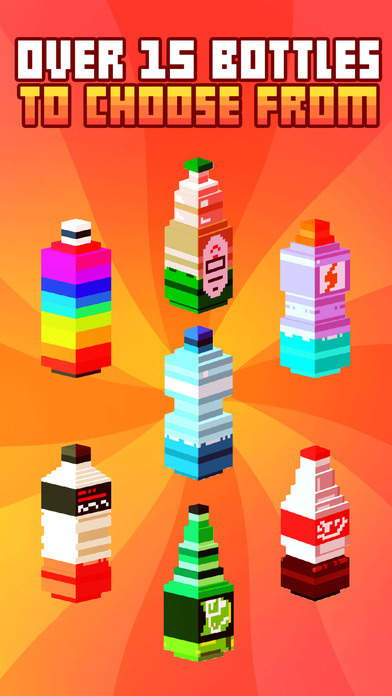 iTunes App Store: Flippy Bottle Xtreme! 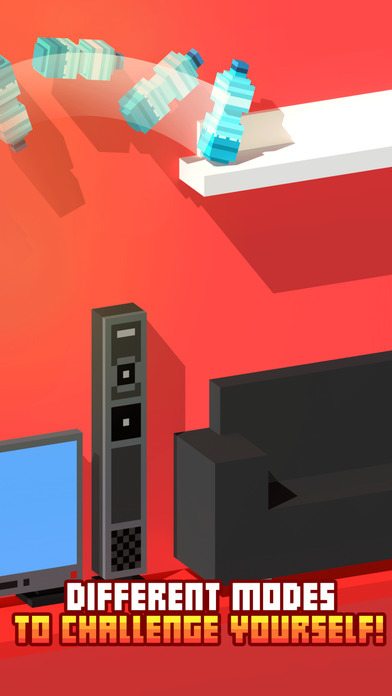 Google Play: Flippy Bottle Xtreme!